We’re here 24 hours a day, 7 days a week, 365 days a year waiting to meet your on-demand, same day delivery and expedited delivery needs. Tell us what you have, where it is, and where it needs to go and we will dispatch the best equipment to get your goods delivered quickly. Our 53 Ft air ride dry vans, bobtail drivers, truck drivers and tractor trailers are at your disposal waiting to go. Every shipment is delivered direct, never leaving the vehicle, never leaving our care. This level of service allows your business to achieve high efficiency, saving you money, reducing stress and improving your bottom line. 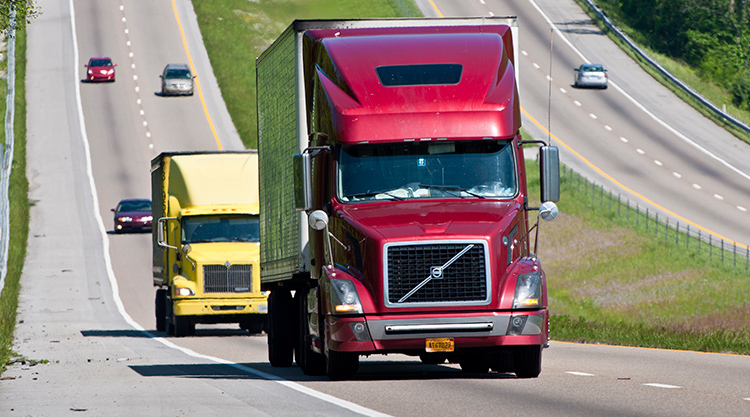 JMB Express Trucking Service same day delivery can handle any shipment size, destination and time constraints, providing a truly customizable solution for your business needs. As your logistics partner, JMB Express Trucking works with you and your operations team to communicate the location, estimated time of arrival and delivery method of your deliveries. Every day we handle urgent freight for same day delivery, overnight delivery and use dedicated vehicles for unrivalled reliability. We cover the entire country via our fleet of drivers and vehicles which means that we specialize in meeting your deadlines. Take more than our word for our same day services.